Fossekallen is named after Norway's "national" bird. The knife is well shaped for all around use. The blade is made of triple laminated stainless steel. The knife comes with a snap type leather sheath. Fossekallen is named after Norway&apos;s "national" bird. The knife is well shaped for all around use. The blade is made of triple laminated stainless steel. 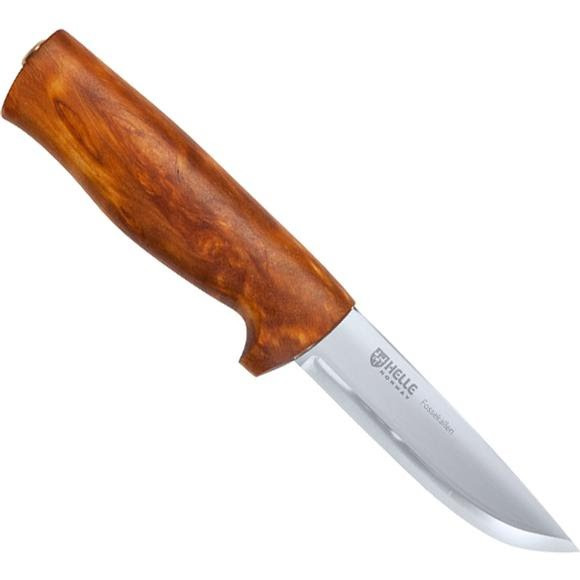 The knife comes with a snap type leather sheath.